Zabalaza Mshengu has died – at 104 years old. As a labour tenant claimant in KwaZulu-Natal, his pursuit of his title deeds was text-book and should have been completed over a decade ago. But the fact that he died penniless and landless can be placed firmly at the feet of the ANC-controlled KZN Department of Rural Development and Land Reform. Mshengu lodged his claim for the 5 ha plot where had lived his entire life, before 31 March 2001, the cut-off date in line with the Land Reform (Land Tenants) Act. Only 22,000 such claims were lodged countrywide. A labour tenant is a farm worker who exchanged his labour on a commercial farm for the right to farm a portion of land for himself. In 2006 his claim was recognised, properly recorded and should have been a slam-dunk. 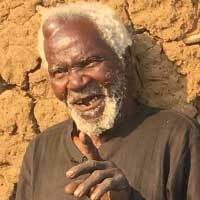 He was born on the same piece of land on 11 January 1914. His family has graves on the plot. Until 2006 the farm had been owned by at least two generations of the Hardman family for whom both Mshengu and his father worked until it was bought by Shockproof Investments 71 (Pty) Ltd, who in turn recognised and agreed to the claim. But with no action by May 2011, Mshengu, with the help of the Pietermaritzburg-based Association for Rural Advancement, dragged the department to the Land Claims Court in an attempt to speed up the process. An order was made by Acting Judge C Sardiwalla to do just that, to no avail. Again in May 2016 Mshengu brought a new application to the local high court. On 31 July the High Court in Pietermaritzburg ordered Shockproof Investments 71 and the Department of Rural Development and Land Reform to have the land valued within 60 days (nose215). But one year later, with still no action by 31 July 2017, in Judge Thami Makhanya, sitting in the Pietermaritzburg Land Claims Court, ordered both Shockproof and the Department of Rural Development and Land Reform to submit affidavits within 30 days and prove what they had done “regarding attempts made by them in respect of settling this matter”. The court orders were ignored. Instead, earlier this year the department suspended the mandate of the lawyer they had assigned to Mshengu to help finalise his claim. Musi Mzila confirmed that his mandate had been suspended. He told Noseweek the department wanted to “take the matter in-house”. “The 2017 court order still stands but I cannot execute it as my mandate is suspended,” said Mzila. 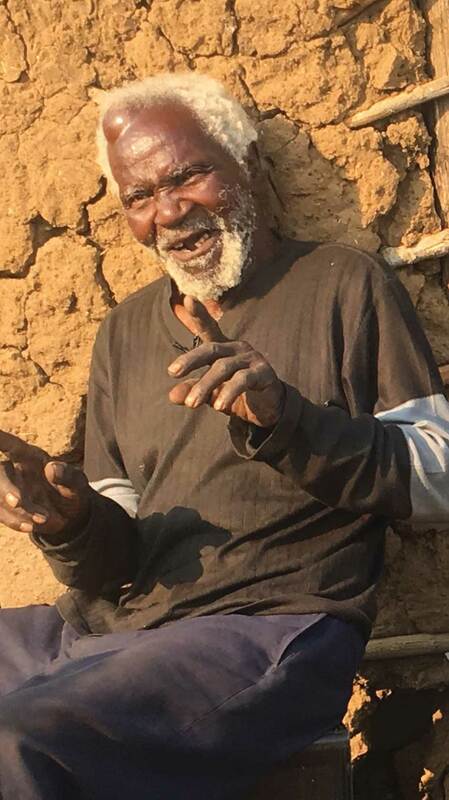 Mzila said the old man had left a will and the family would be substituted for Mshengu in the final transfer of land – if or when it ever happens. Spokesman for the department, Sbonelo Hlongwane, attributed the delay to the fact that the department had since found more families on the farm. “The solution or the final settlement will be for all occupiers needing tenure security on this farm, and the title will go to all,” he said. Hlongwane added that they would be in contact with the family. “As a department we are also deeply touched by his passing away. It is unfortunate that he had to pass on while still waiting, but the processes towards the final settlement are running. It is not a deliberate act and we are trying by all means to ensure this matter is finally settled… We [are not purposely delaying] and will continue to provide services to the rural communities.” he said. He forwarded Noseweek correspondence which intimates that Mzila’s mandate was not suspended but that Mzila withdrew. Shockproof Investments 71 (Pty) Ltd, is owned by Roshan Morar and Dr Nomsa Dlamini – both of whom have friends in high places (nose213). Both were adamant that the fault lay with the department. “I consented via my attorney. We sorted out my bit last year. You can confirm that with my attorney. I consented to everything that needed to be done to that gentleman and took the initiative to go and see him some time ago,” said Morar. Dlamini called the matter “sad”, adding she would be “following up”. “It’s bad when people die at 104 owning nothing when they’ve been living there for years. It’s so sad. I agreed in 2012 that this matter must be speedily resolved,“ said Dlamini. As the official opposition in KZN, the DA spokesman for rural development and agriculture in the province, Sizwe Mchunu, said there was a lack of effective oversight of the Land Claims Commission in KZN. “Officials are sitting on the claims in the administration and not doing anything. Ultimately we find people get nothing out of it. They’re very selective in who they recognise as beneficiaries. There are a substantial number of claimants who don’t even know they were claimants or were even successful,” said Mchunu. Noseweek will keep you up to date on this matter. Sad? Sad? It's a crying clucking shame, that's what!